Indian Army Education Corps Recruitment (AEC) 2017 for 127th Batch is for Indian Army Recruitment for Post Graduates. Applications are invited from Married/Unmarried Indian Males Post Graduates for Grant of Permanent Commission in the Army Education Corps for the 125th course commencing in July 2017 at Indian Military Academy (IMA), Dehradun. The last date for making online application is 22 November 2017. Hence, the candidates are suggested to fill the form on or before the due date. 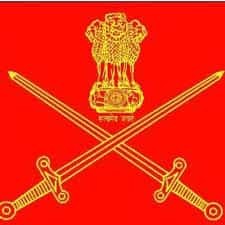 This page gives the complete information regarding the Indian Army Education Corps Recruitment eligibility, application, selection process etc. Age: 23 to 27 years as on 1 July 2018 i.e. candidates born between 2 July 1991 and 1 July 1995. Educational Qualifications: Candidates who have passed Post Graduate Degree MA/M.Sc. in the following subjects with 1st or 2nd division. Height and Weight: The minimum acceptable height and weight for men is 157.5 cms with correlated weight. In case of candidates belonging to the North East and hilly areas, the height will be relaxed by 5 cms. Tattoo: Permanent tattoos are allowed only on inner forearm or on reverse side of palm/back side of hand. The application process for the Indian Army Education Corps Recruitment (AEC) 2017 commencing in July 2018 will start from 24 October 2017. The candidates will be able to fill the form until 22 November 2017. Once the application gets started, the link to apply for the same will be updated on this page. Since then, the candidates are suggested to keep themselves updated on this page as well as on the website. STEP 1: The candidates have to follow the given link in order to fill the online application form for AEC. STEP 2: The candidates need to go to the "Officer Entry" section and find the Indian AEC Recruitment, then Login and Click on Registration. STEP 4: At last, the candidates are needed to submit the AEC Application Form and should note down their Registration number for future reference. Short listing of Applications: The applications will be shortlisted by the Integrated HQ of MoD(Army) and to fix the cut-off percentage of marks for each discipline/stream without assigning any reason. Where will the SSB interview be conducted? Only shortlisted eligible candidates depending on the cutoff percentage will be interviewed at Selection Centres, Allahabad (UP), Bhopal (MP) and Bangalore (Karnataka) by Psychologist, Group Testing Officer and Interviewing Officer. Call up Letter for SSB Interview: Call Up letter for SSB interview will be issued by respective Selection Centres through candidate’s registered e-mail id and through SMS. Self-Attested copy of Mark sheets and Degree of Post Graduate course. Candidates will put through the two-stage selection procedure. For the candidates whose name appears in the Merit List and who come within specified streamwise vacancies and are declared medically Fit are issued Joining Letter for Pre Commissioning Training at IMA. Pay: The candidates will be given a stipend of Rs. 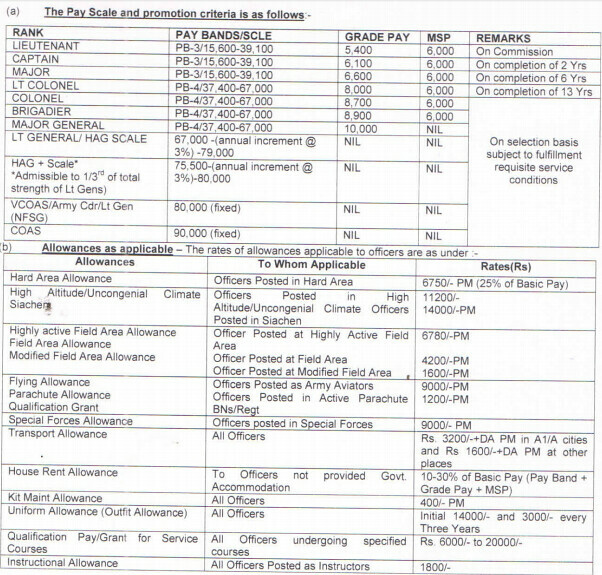 21,000 p.m. (Rs 15,600 as pay in Pay Band plus Grade Pay of Rs. 5,400).